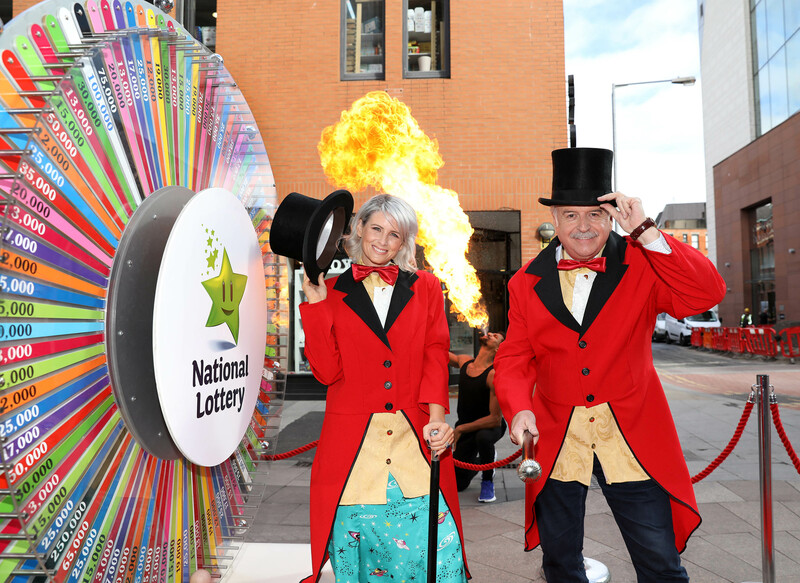 A Cork man will do his dad a good turn by appearing on his behalf on the National Lottery Winning Streak TV game show on RTÉ One thieveningng. John Corcoran Jnr from Turners Cross, hopes to bring his Dad, also John, lots of luck when he appears on the popular game show. John snr had travelled to Ballyheigue in Kerry to check on the family mobile home last Saturday when he got a call from his mother to say he had been selected to appear on show. There was great excitement in both Turner’s Cross and Ballyheigue and John, who works in the Bus Eireann depot in Cork, decided on his journey home to ask his son, John Jnr to go on the show for him. He insists that his son is the lucky one of the family! John Jnr works as a general operative in Musgraves Cash and Carry in Cork and is really looking forward to going on Winning Streak for his dad. There has been a great buzz in the family and he will be supported by a loud contingent from the Rebel County. Among them will be his dad, mum Diane, sister Kate, as well as his girlfriend Jade. John is a massive GAA fan and plays full-back for Nemo Rangers GAA and follows Cork in both the hurling and football. Both John jnr and snr are massive Liverpool FC fans and some of the Winning Streak winnings will fund a trip to a league match before the end of the Premier League season. Both are dreaming of seeing the Reds lift their first league title in almost 30 years. The Winning Streak National Lottery game show, co-presented by Marty Whelan and Sinead Kennedy, will feature some perennial favorite games as well but also brand new games including Play or Pay, Roll for Riches, WinFall and Electric Dream – where one player will win an electric car worth €25,000.